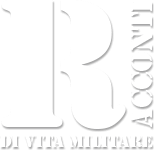 To find out what are the guidelines of Italian Defense policy, the average citizen needs only to dwell on the most significant passages of the lecture held last April by the Minister Elisabetta Trenta in the Capital on the occasion of the conference "The defense sector as a driving force for growth ". "At a European level, it emerges ... the effort to encourage the development of military capabilities ... stimulating countries and companies to make a critical mass, capitalizing above all on recently introduced instruments, such as the Permanent Structured Cooperation (PESCO). This set of novelties outlines a substantially new framework that outlines opportunities - but also risks - that we will be able to exploit only if we take the scope of the changes underway and we will be able to work, with a synergistic and systemic approach, to favor a new phase of development and technological innovation for the Defense Industry that consolidates national capabilities - contributing to the modernization process of the Armed Forces - and, at the same time, represents a further opportunity for development for the Country, from an economic and industrial point of view and employment ". Only after the reading of these winged but nebulous concepts does the average citizen seem clear about the reasons that led both to the further curtailment of 500 million euro from the skimpy defense budget, both to the unionization of the underpaid "workers" of the Armed Forces, and to the renewed attention paid to that depleted uranium which has never crossed the borders of our military polygons (proof of this is the fact that NEVER ANY COMMISSION has detected within the polygons traces of radiations of any origin, missiles Milan including, except the natural one). The reasons that forced to sacrifice the availability of fuels and ammunition for the maintenance of a credible operational capacity, the maintenance of the vehicles and the updating of the weapon systems are equally clear. all priorities are supplanted by the control of Roma camps, asphalt roads, surveillance of landfills and public order tasks. A policy - conduct, however, in full synergy and harmony with the Major States, as pointed out by the Chief of the General Defense Staff Vecciarelli - which inevitably involves some "sacrifice": starting with the fact that many operators of weapon systems have only trained on books and have never "fired" an anti-tank missile, ending up in the much more worrisome influence and non-existent political-military situation in the Libyan theater. That, from an energetic point of view, Italy depends, more than anyone else, on Libya (which, moreover, is the starting point of the migratory invasion that has been contributing to undermining the country's inexperienced financial resources for years), however, raises in the Italian medium some fear, to which are added the perplexities due to the fact that our Prime Minister in the Libyan crisis did not go beyond the "wishes of peace" and has exhausted its action in a evanescent contact with an "emissary of General Haftar". As things stand, our political-military credibility has only materialized in the hasty evacuation of the ENI technical 120 operating there, in "our" Libya, now abandoned to French influence. And so, at least as regards the political-military weight of Italy in the vital African chessboard, the average citizen can only return to the image that in these days symbolizes the greatness of the Italian civilization and of the Roman Christian tradition: Francesco Bergoglio who despite the known problems with the spine, he prostrates himself to kiss the feet and shoes of the leaders of South Sudan, another area of ​​illegal emigration with an Italy-Europe objective. Understandable, in spite of the bus rebus, that the average citizen can firmly disagree with the assumption that a "Defense sector as a driving force for growth" thus set can become a "further development opportunity for the country, from an economic point of view, industrial and employment ".